It was a couple of hours before I could respond back but in the meantime I thought to Google the sender’s name and email address. I found info reporting former involvement in financial misdoings, fraud internet crime and a fugitive warrant as well as local court case info for him. But whether he’s a scammer or a sincere seeker, he asked me a question and the answer is the same. Ride out past momentum, clean up your past, expand your belief about what’s possible for you and refocus your attention. I responded to him: “Hi, you’re in a better position than you think you are. A quick Google of your email address tells me you’ve got an interesting background. I see a mug shot and arrest info for fraud internet crime and a fugitive warrant, and an article published in August 2015 about how you went from a homeless shelter in Hawaii to living on a 2 acre farm in DC.I’m not judging you for past actions, simply pointing out that iIf you did it once, then you know what is possible. You known you can do it again. If you didn’t do it, by telling that story (because it’s a better marketing story to attract investors) you send a signal to the Universe that you believe you have to be dishonest (ex. fraud internet crime) to make dollars. If that’s what you believe, that is a big resistance to attracting income. It’s important to understand how you attract your life experience to you for better or worse. It matters not how you got where you are, the remedy is the same. While you’re riding out past momentum, clean up your past, expand your belief about what’s possible for you and refocus your attention. If you’ve cleared up whatever led to those events — and you’re the only one who knows whether you truly have — if you’ve truly made amends, then you just have to ride out the past momentum. 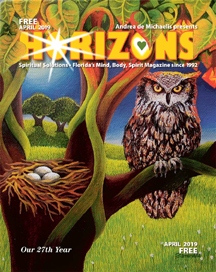 If you have NOT made amends, no kidding, do this process beginning today–> http://horizonsmagazine.com/blog/dr-lews-hooponopono-hawaiian-healing-process/ It will begin a subconscious line of inquiry and thought within you and you will begin to attract comfort and resolution of those matters. We don’t always believe what we think we believe, but we can SEE what we believe by the evidence of what we have attracted into our lives up to now. If you had the belief that you could succeed as a financial trader and consistently earn a good return on investments, you would see evidence of that belief and the money would come in from your investments. You’ll stay in poverty until you expand your belief about what is possible for you or until you take your heart OFF being set on trading the financial markets and instead let yourself be led in another direction and — for good example — out of a town you have no ties to and are having no success in. I’m making no judgment and mean no disrespect, but if you instead had the belief that it was easy to make people invest when you say certain things, whether those things are true or not (ie. the fraud internet crime conviction), it’s simple cause and effect. If you’re depriving people of their dollars and they are not delivered the return they were promised, that is what will come back to you in the form of future experience. It may be what you’re experiencing now. Momentum has to play itself out. I am not making a judgment, it’s pure physics, but when you misrepresent yourself as successful and engage in scams for financial return, you’re telling the Universe that you don’t believe you can make a great deal of money unless you misrepresent and make promises you know are unlikely or false. Things can change in the blink of an eye and if they do not, you have to wait until the past momentum catches up. If you can consider that you have within you right now the power and ability to make things turn around in your life and go in a good direction, I’d say do a little inner work. 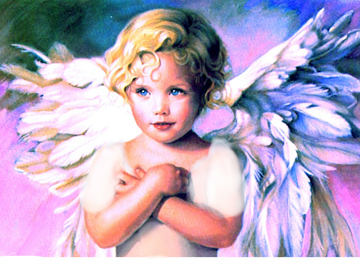 HOW DO YOU ACTIVATE GUARDIAN ANGELS AND SPIRIT GUIDES? Then practice relaxing into the knowing that you have set something in motion that you will soon see evidence of. Relax into the knowing that these other “parts” of you can be thought of (if it makes it easier to accept) as guardian angels or spirit guides here to help you with whatever you ask help for. You “activate” them by talking to them and asking them for help. If it makes it easier to accept, these other parts of you can be thought of as God whom you are asking in prayer. You might do this twice a day during meditation. Do the Ho’oponopono process daily as needed as well. How you you know when it’s no longer needed? You will stop having financial problems. You’ll get a chance to work with good people and you won’t feel any desire to rip them off. You’ll be able to look at it as a sacred service you are doing for a fellow man and you will be rewarded for your efforts. Everything will change when your desire to MOVE on to something new and improved exceeds your desire to HOLD on to something known and familiar. A Facebook friend wrote on the Palm Bay Crime Watch page that a young woman knocked on her door, said she was a neighbor’s daughter locked out and asked for a ride to her mom’s work to get the key. Mom of course not “at work,” she caught on that she might be being set up for a robbery. She dropped the woman off and returned home. So, how do you know when to help a stranger and when to keep a distance? There’s always a fine line, isn’t there, between wanting to do the right thing and be a good samaritan, yet stay safe and leave people to the consequences of the choices they made before they knocked on your door. You have to ask yourself, “Why does this person have no one but a random stranger to ask for help? Where are their friends, or anyone else who knows them?” Sure, maybe it’s “Jesus in disguise” (isn’t everyone?) but who knows what lesson this particular “Jesus” may have in store for you today? What determines how you will respond? These are good soul searching questions to ask yourself while keeping your doors locked. WHAT DETERMINES WHAT YOU ATTRACT? WHO YOU ARE AND HOW YOU VIBRATE! So what determines whether you attract a true damsel in distress or a scam artist in the first place? The answer to that lies with knowing what factors you’re resonating in harmony with currently. How are you vibing lately? Happy or ticked off? What have you been attracting this week? Good stuff? Challenges? 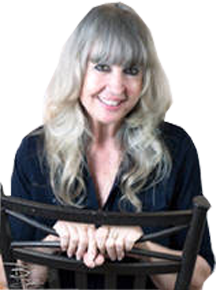 How severe are the issues and relationships from the past that you’ve left unresolved? What is in your past is what determines what’s getting ready to come back to you. Factoring in your answers to these questions, in any given moment you are the one who knows whether you’ve created past momentum for blessings or lessons. A good thing about knowing who you are and taking responsibility for what you’ve come thru is that the life surprises that come your way are more likely to be good ones. What can you look at with a different eye? A friend asked how I could have been a criminal defense paralegal for so many years and had to look at crime scene photos of violent crimes. It’s all in the perception. If it’s a job and I’m just organizing and categorizing, I’m looking at it with a different eye. I learned in my 20’s that I could distance myself from the emotion of a situation if I had to to do my job. So I never thought of them as gross photos, they were simply evidence of an incident. It’s all about perception. You can train yourself to look for other specifics, to look for the lesson so you can move on to look for the good, to look for the benefit, to look for the opportunity. Everything you ever look at contains all of that, I promise you. Wayne Dyer says “Shy people make shy pictures over and over in their minds. Until they see themselves as unafraid, they will always act on the pictures they create.“ Are there any pictures you keep creating over and over in your mind that it would be helpful to see with a different eye? Everything in your life is a metaphor and has a message for you. And you can’t always rely on what your eyes tell you is so. Sometimes you have to rely on memory and faith. Like the french fries I just took out of the oven, for instance. My eyes tell me they’re not yet done but I remember if I take them out NOW, they will continue to brown and will taste perfect. And they do. Have more faith that when it looks like things in your life are really goofed up, they are really cooking to perfection. I spent time watching a fire one early morning. I love to watch the logs and how they burn and interact with each other at the various stages of engulfment and disintegration. Just like we humans as we cook the ego and become more ash, more of the essence we are. I watched the logs burn more brightly when they were together, and eventually mesh into one mass of ash. I watched a log off by itself, still burning though not as brightly. Just like us. We can be a small bright light in a dark world but when others join, we can light up the sky. I put a marshmallow on a stick and tried various cooking distances from the flame. I found it cooked even when just barely within the space of the pit, and cooked faster as it approached the flame itself. A great metaphor for my own social interaction. I am cooked faster by some people and events than by others, depending on how close to the situation I want to get, and how much I allow. Sometimes all it takes is a light toasting, other times a scorching. It’s nice to know I’m in charge of whether or not I ever get burned. I’ve learned that everything in life is a metaphor for my own personal growth. I’ve been buying frozen french fries and cooking them in my new oven. The directions on the package say 450 degrees for 20-24 minutes. Each time, when I checked a few minutes ahead of time, I saw they were beginning to get golden. Two minutes later they’d be burnt. The third time, I put them in at 425. At 16 minutes they would begin to get golden. At 18 minutes they were burned. I tried again, this time removing them from the 425 degree oven at 16 minutes. They looked too beige. They didn’t look golden enough. But by the time I took them into the kitchen to plate them, they were perfect. Ah, I forgot about residual heat! A good lesson to me. Remove them from the oven when they still look uncooked. If I wait until they looked cooked, the residual heat will burn them up. Looking back, I recall times I did that with people as well: giving them the heat they asked for, not factoring in past momentum I wasn’t privy to. I learned that sometimes I’m the marshmallow, sometimes I’m the flame and why we’re cooked faster by some people than others. It’s all just a dance as we get our personal energy under control. It’s all about energy management. Knowledge is power. When new friends appear before you, assume their cooking process is already underway, more so than any of you know. Be gentle with the heat. No matter how much they ask for. Enjoy our offering this month. Hari Om.